The chrome can be made a bit thicker and a bit more white and shinier. can a bit of glow be also given to >_ . Here is a sample image - http://img10.deviantart.net/d73e/i/2007/354/9/0/terminal_by_willbook.png - with the shine on the chrome and glow on the character >. 1. Make the stroke of >_ a little thicker, like you had earlier2. make the terminal aspect ratio close to 1.2 right now its 1 i.e make it a little wider. 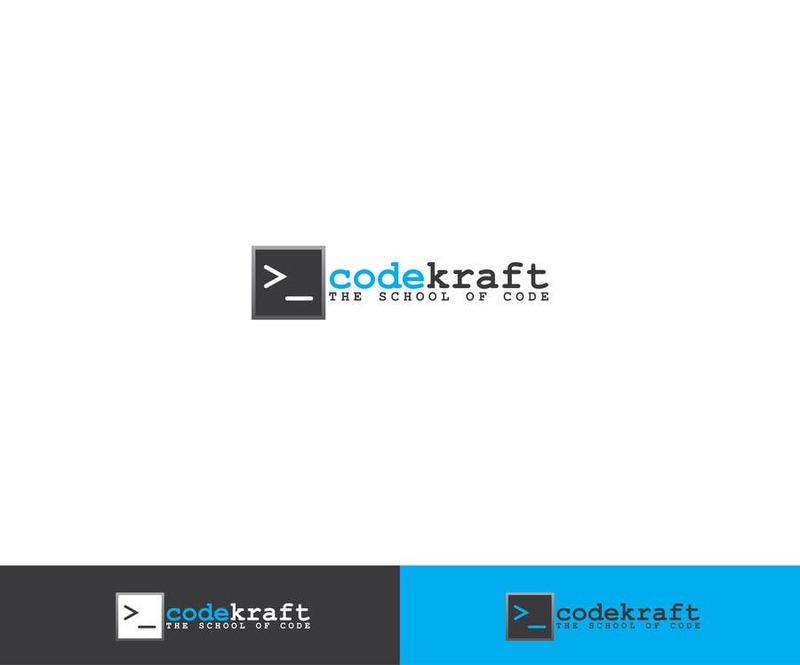 3. codekraft text should be taller, alsmost as high as the screen, so all of it makes a tight rectangular box, currently there is quite a bit of whitespace above and below codekraft.